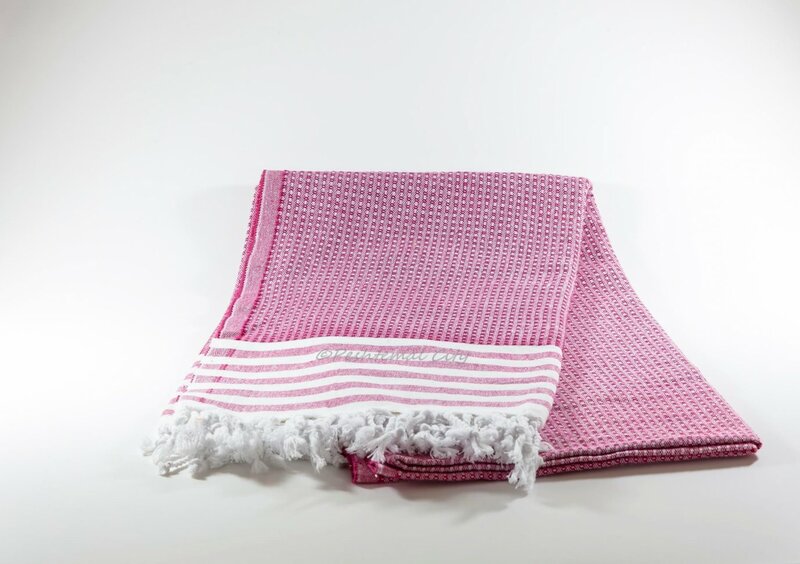 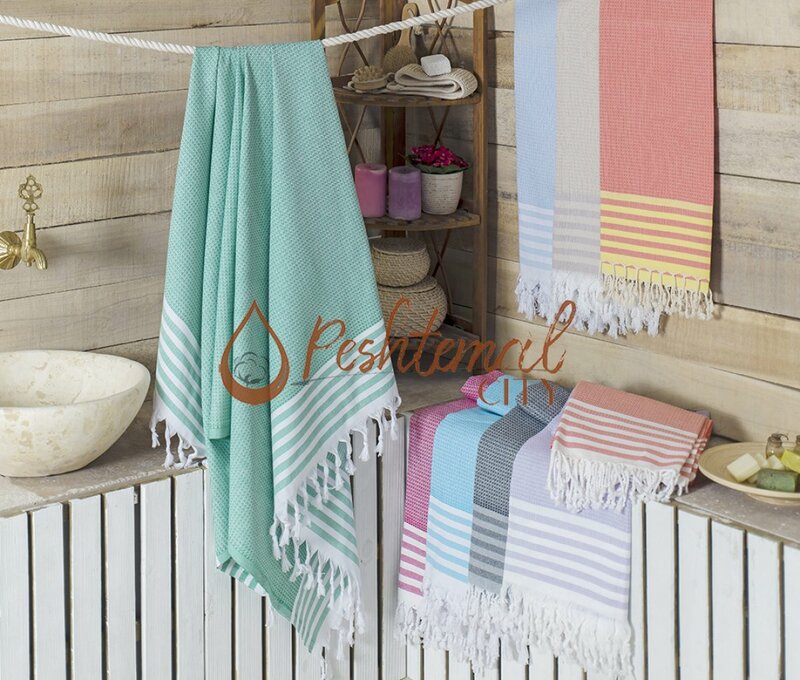 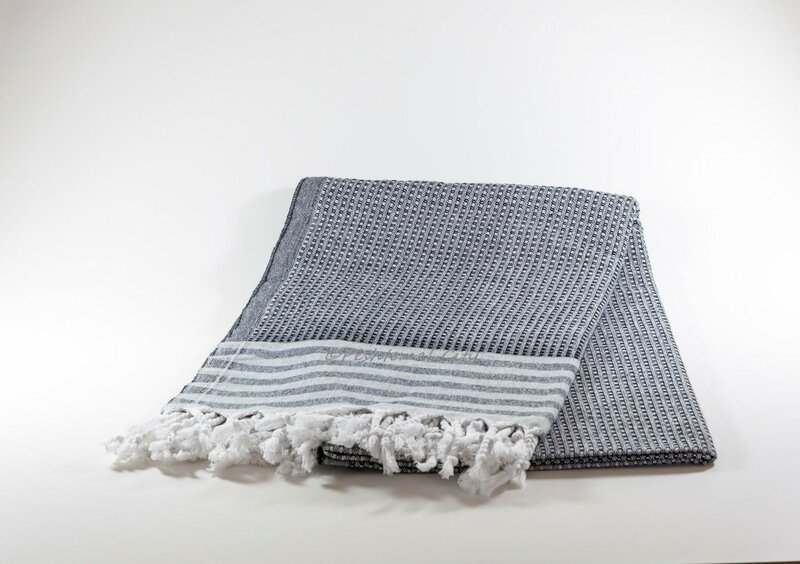 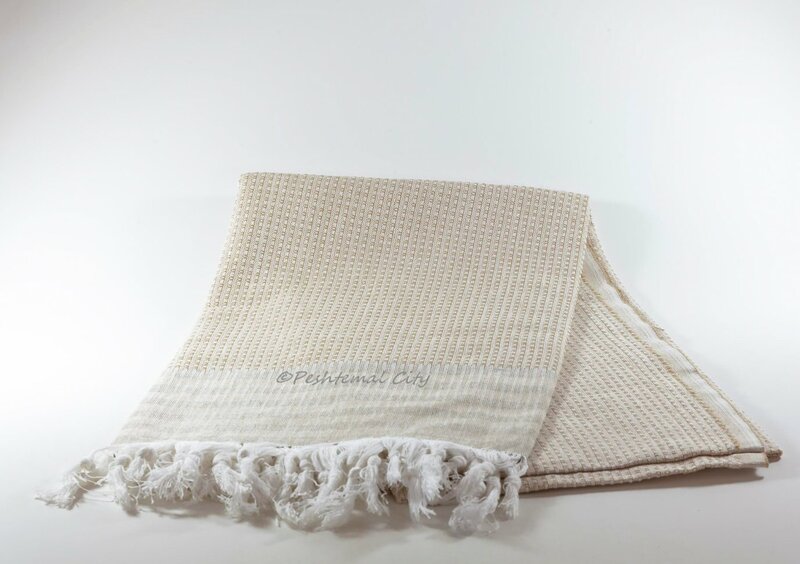 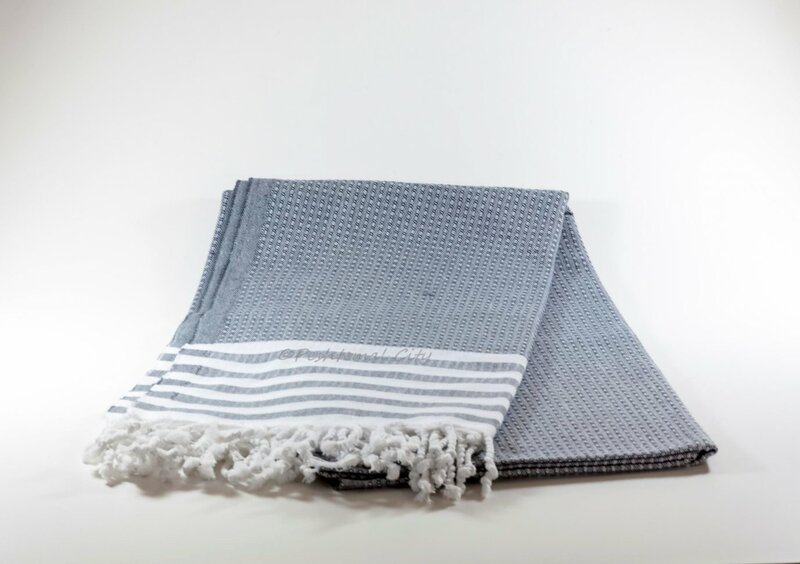 Waffle Peshtemal is one of our sweetest Turkish towel designs. 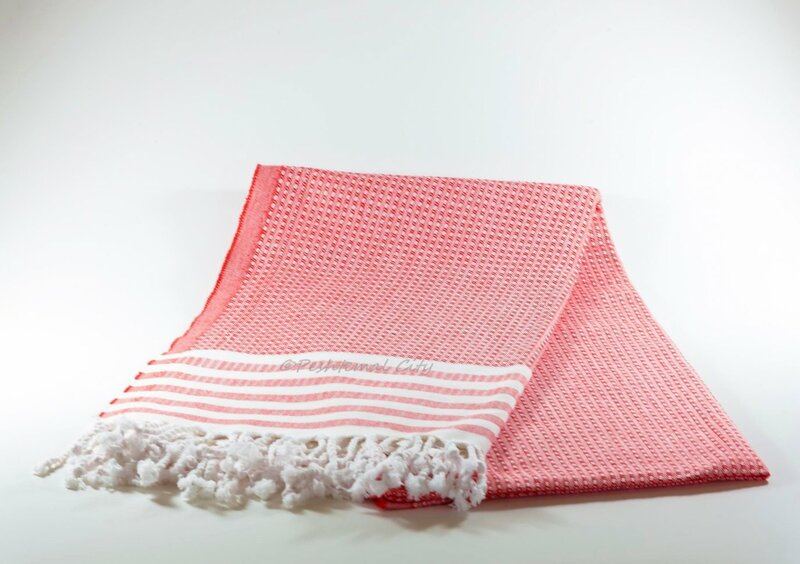 It is designed with a combination of lively colors, and cute shapes on its texture. 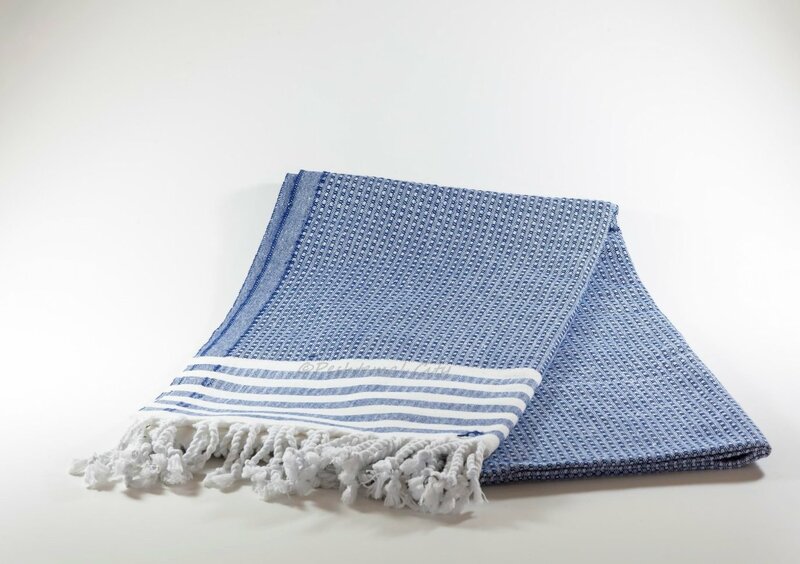 Thin, white stripes and fringes at the end of Waffle Peshtemal enhance the beauty of it. 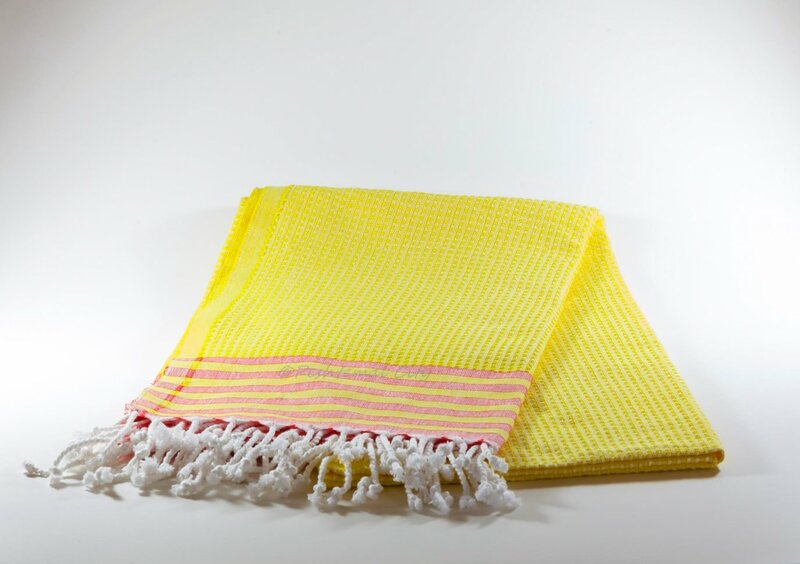 You can choose the combination you desire from the wide color spectrum we offer for this product. 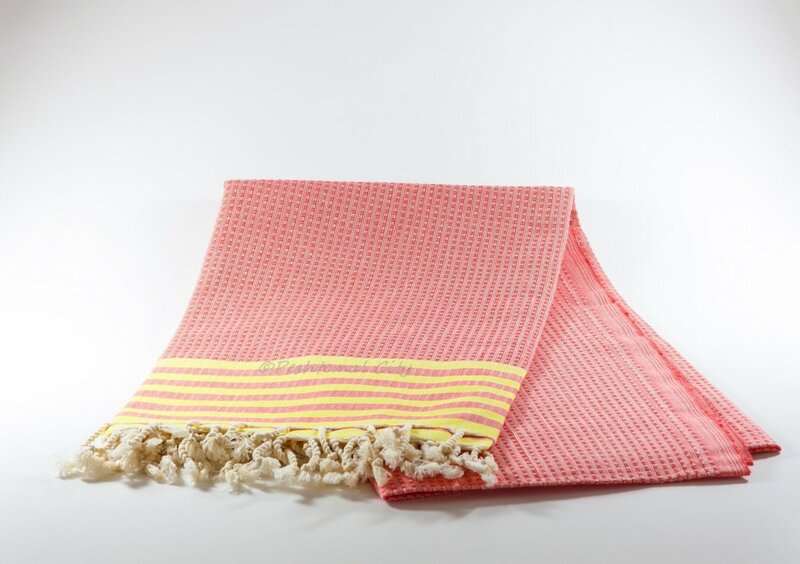 Waffle Peshtemal is woven 100% from high-quality cotton. 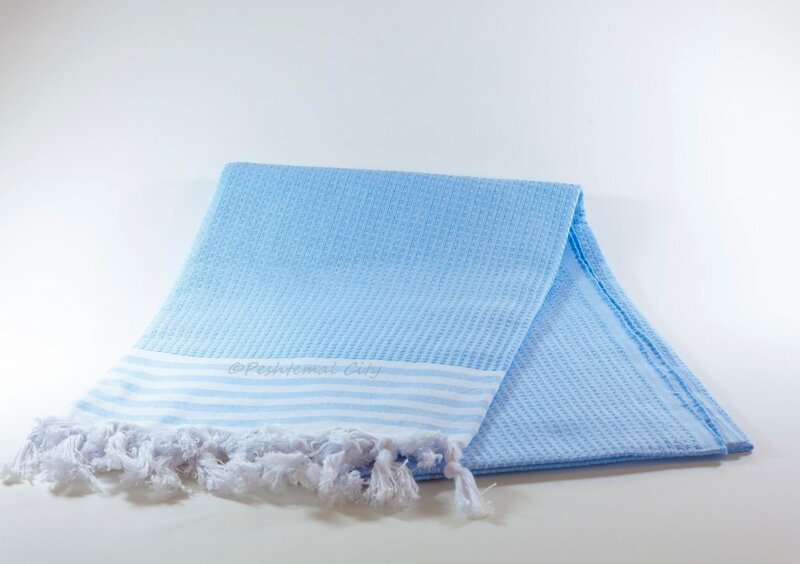 It is highly absorbent, quick-drying, soft, and durable. 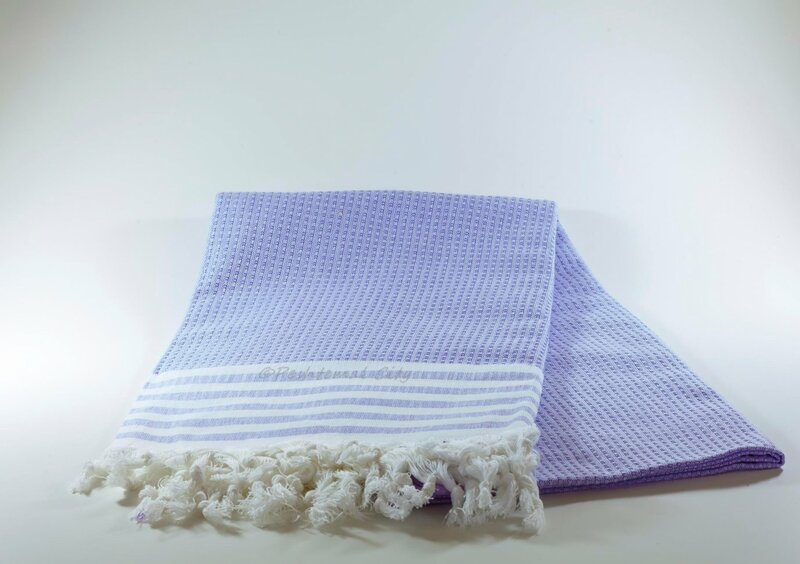 It has a size of 100x180 centimeters and weighs 430 grams. 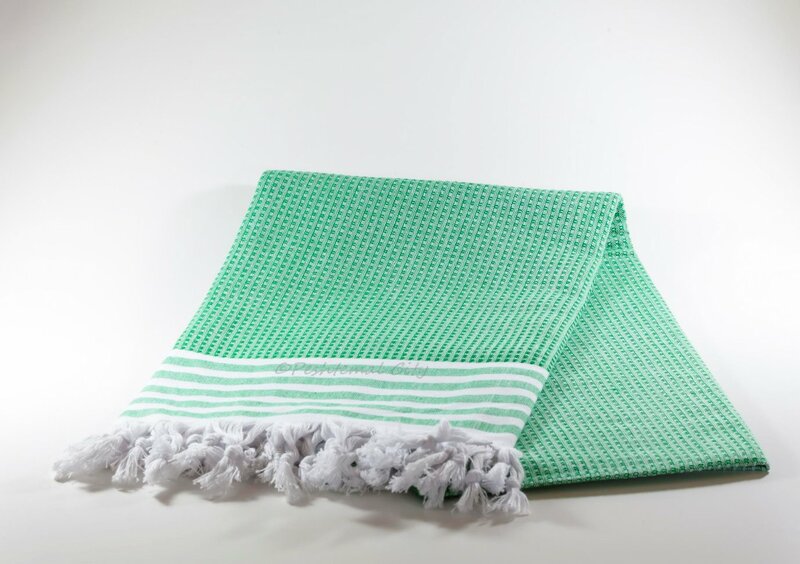 With such a light-weight and high-quality texture, Waffle Peshtemal is perfect for you to take to beaches, hotels, spas, pools, gyms, yachts etc. 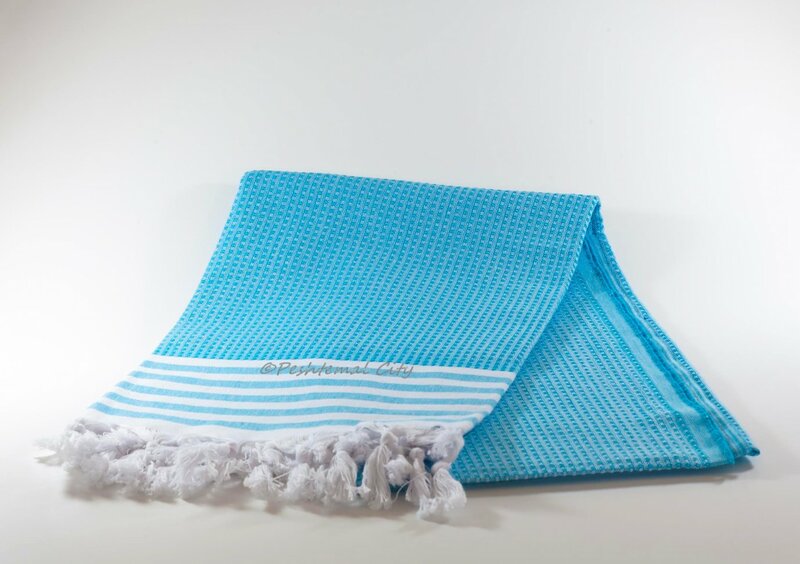 It is also a perfect decorative item for homes and a cute gift for your loved ones!